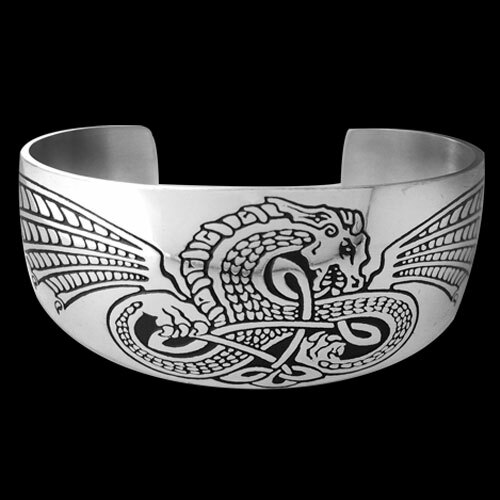 Sterling Silver Dragon Flight Bracelet by Metal Arts Group. In the Celtic world, the dragon is said to be associated with life; the serpent part representing the gift of water and the wings representing the flow of energy through our physical world. The dragon symbolizes power and wisdom and was said to act as a guardian to the secrets and treasures of the world. 6.3 x 1.1 inch Sterling Silver Dragon Flight Bracelet by The Celtic Lady. Made in USA.